How to detox the body to prevent polyp formation and even tumor growth from starting in your bowel? There are many ways to do it. One is the use of natural colon cleansers. To detox is to get rid of the toxins you put into inside yourself knowingly and unknowingly. It is effective as prevention against most causes of cancer. You have an amazing body. It has organs that act as natural cleansers to detox itself. The liver is the main means of removing impurities from your body. The natural detox process in the liver is aided by other organs such as your colon, kidneys, intestines, lungs and skin. All these organs function as janitors of your body. Your skin, lungs, liver, kidneys and colon are efficient in flushing out toxins and everything else your body doesn't need through your sweat, mucus, urine and stools. But sometimes, you take in too many toxins that are more than what your natural inner cleansers can deal with. Toxin overload can cause them especially your colon to bog down. The abilities of these organs to effectively detox can weaken. If your organs are unable to cleanse efficiently, the toxins can cause harm to your cells. Eating unhealthy food burdens your colon. Guzzle up on lots and lots of water. Water is one the most effective natural colon cleansers. It also helps your kidneys get rid of toxins from your body through your urine. Aim for at least 8 glasses of water. The color of your urine should be almost colorless. If it's dark, you need to increase your water intake. If you're constipated, drink more water as well. Move as much as you can. Being active makes you sweat. Your skin removes impurities through your sweat. Exercise is also one of the natural colon cleansers. 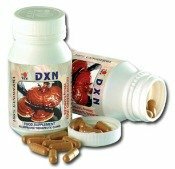 It helps your colon to efficiently detox itself by regulating bowel movements. When you're able to go everyday or everytime you have had too much to eat, you're protected from colon polyps. Get a massage. A massage is found to be one of the natural cleansers. It can be full-body or just foot. I highly recommend a weekly foot reflexology. It's my favorite way of de-stressing. Drink plenty of fresh fruit juices. Juice from fresh fruits is one of the natural colon cleansers. Pineapple juice is an extremely good detox drink because of its fiber content. The key here is it should be fresh. If you're starting to have problems in your colon, make drinking fresh pineapple juice a daily habit. Fruit juicing is an effective step on how to detox the body. Include fruits in your grocery list and invest in a high-quality fruit juicer such as Breville from Amazon.com. Choose to eat only healthy foods that act as natural colon cleansers. Examples of these foods are olives and fruits such as watermelon. How to detox the body for health? Sprinkle ground flax seeds on your food. Flax seeds act as cleansers because they can prevent constipation. Vegetables are good sources of insoluble fiber. They act as natural cleansers for your colon. Raw vegetables eaten as salad contain enzymes that feed the healthy and natural bacteria in your digestive system. Negative emotions and thoughts can harm you. They can cause anxiety, worry and anger which all lead to stress. Inflammation is one of the negative effects of stress on your health. Inflammation acts as food for cancer cells. Stress also affects one of your body's natural cleansers: your colon. Constipation is one of the effects of stress on your colon. Being constipated most of the time is not good for your colon. Stop being hard on yourself. Learn to forgive yourself. Stop being hard on others as well. Forgive them. Negative thoughts and feelings like anger, frustration and resentment are also poisons that must be purged out for prevention of cancer. It is not just a disease of the body but also of the spirit and the mind. Harboring those harmful thoughts also influence how your immune system behaves. A study done at the Institute of Heart-Math in California discovered that levels of an anti-body known as immunoglobin-A take a dip when you spend even just 5 minutes thinking of a situation or person that stirs up anger or resentment in you. How to detox the body? Make fasting from unhealthy food and emotions a habit. Fast regularly to detox your body and mind to help you rest and heal inside.